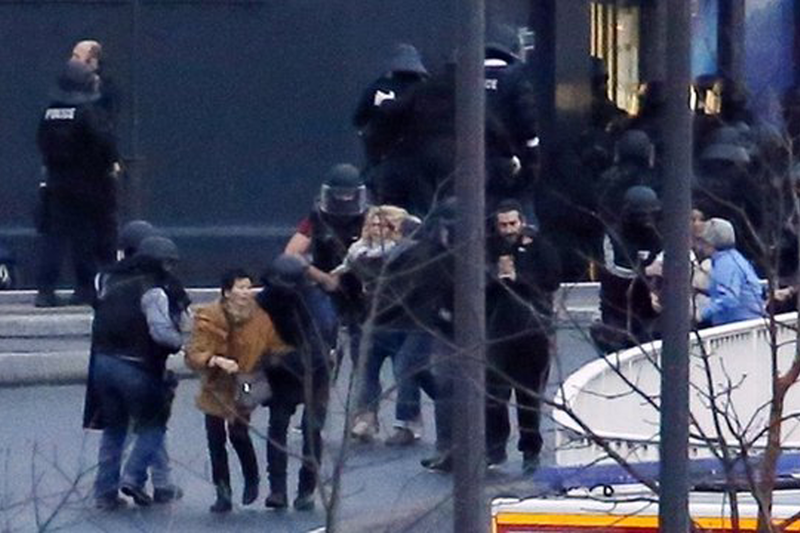 French police have stormed two hostage sites in Paris and north of the city, with the hostage takers reported dead. Explosions were heard at a warehouse in Dammartin-en-Goele, where two suspects in the Charlie Hebdo magazine shootings had been holding one hostage. Explosions and gunfire could also be heard at a supermarket in eastern Paris, at Porte de Vincennes, where several hostages were held. Reports suggest a gunman there was linked to the Charlie Hebdo suspects. After the operation started, several hostages could be seen leaving the supermarket. Police told French media that four hostages in the supermarket had been killed prior to security forces storming the site. 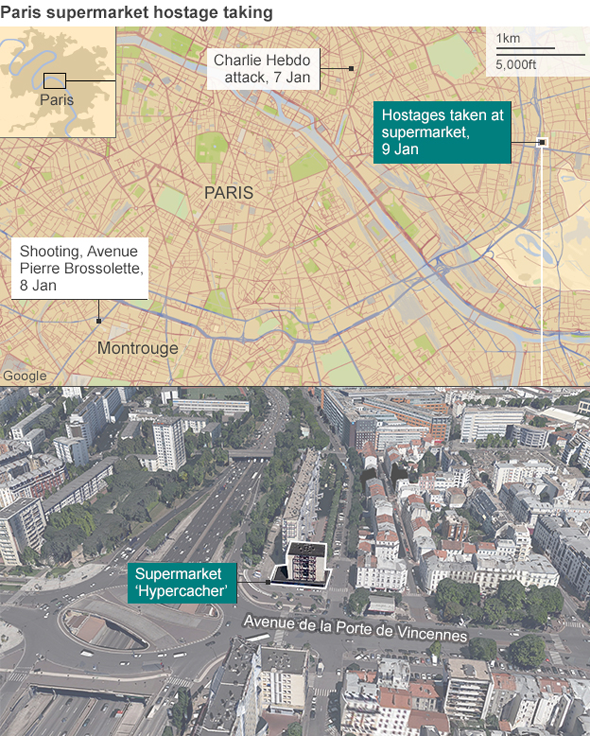 Two police officers were injured in the operation at the Hypercacher supermarket, AP reported. 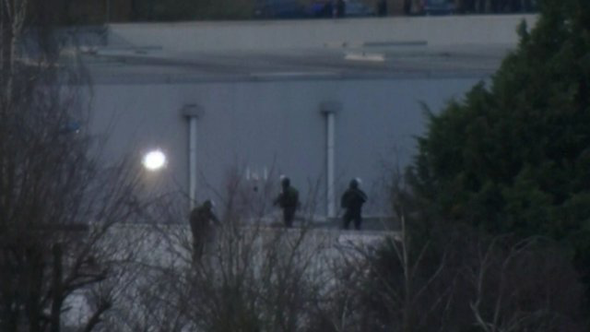 The hostage at the warehouse in Dammartin has been freed, while a police officer at the scene was injured, AFP news agency said. The police assault comes after three tense days in France. Twelve people were shot dead and 11 were injured in Wednesday's attack on the office of Charlie Hebdo, a satirical magazine. The unprecedented attack shocked France and there has been an outpouring of sympathy and solidarity worldwide. 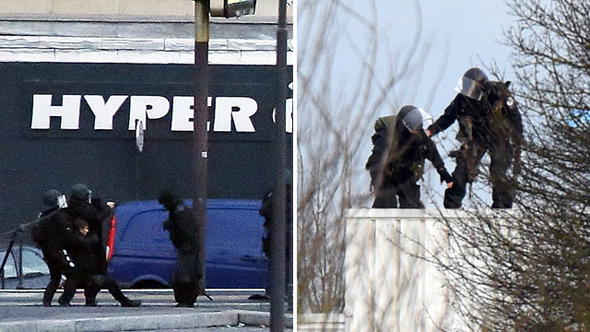 The two suspects of the Charlie Hebdo shootings, brothers Cherif and Said Kouachi, had been on the run for two days, before being surrounded at the Dammartin warehouse on Friday. French police said they came out firing, at which point police stormed the warehouse. The hostage taker at the Vincennes supermarket knew at least one of the suspected Charlie Hebdo attackers, a source told AFP news agency. The gunman had threatened to kill his captives if police attempted to capture the brothers, reports citing police said. The gunman was also suspected of being behind the shooting of a policewoman in the southern suburb of Montrouge on Thursday. On Friday, French police issued an appeal for witnesses to that shooting. 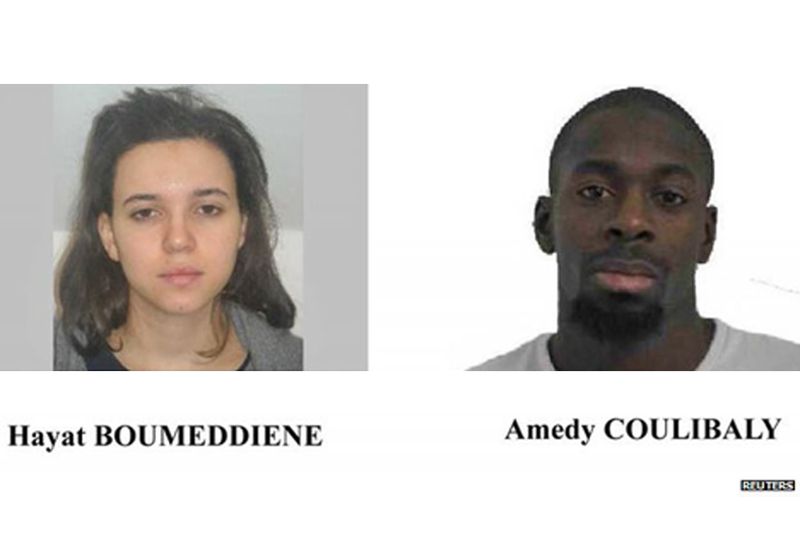 They said they were looking for two people: a man called Amedy Coulibaly, 32, and a woman called Hayat Boumeddiene, 26.